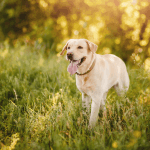 Labradors are active and energetic dogs and they love to jump. This habit is annoying, mostly when they jump on strangers. Fortunately, they are easy to train, so they can be trained not to jump. Training is the most important part of every dog’s life. 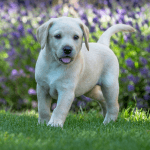 Labrador Puppy training should be started from his 6 weeks of age to onward. For the most complex training section, age can be up to 6-8 months. 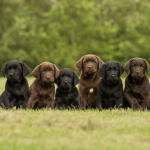 Labradors are most easy to train and they love the training sections. Is this Possible to Stop Labrador’s jumping? If your Lab jumps a lot, that is not an exceptional behavior, all the Labradors usually jump to show affection. Labradors jump because that is their natural behavior and they wants to get close to your nose to show their love. Puppies also jump on their mother and other siblings while playing, that is part of their normal habit. That is normal for Labs to jump because they do this every day. Jumping behavior varies from breed to breed and dog to dog. Some Labs don’t like to jump at all but some love to do this. Jumping is their way to show affection and emotions towards you because they are friendly and energetic, they like to jump at strangers too. When you come home, after a tired day, you may want to rest, but your dog jumps on you and wants to play. Then you feel annoyed and wants your dog not to jump. 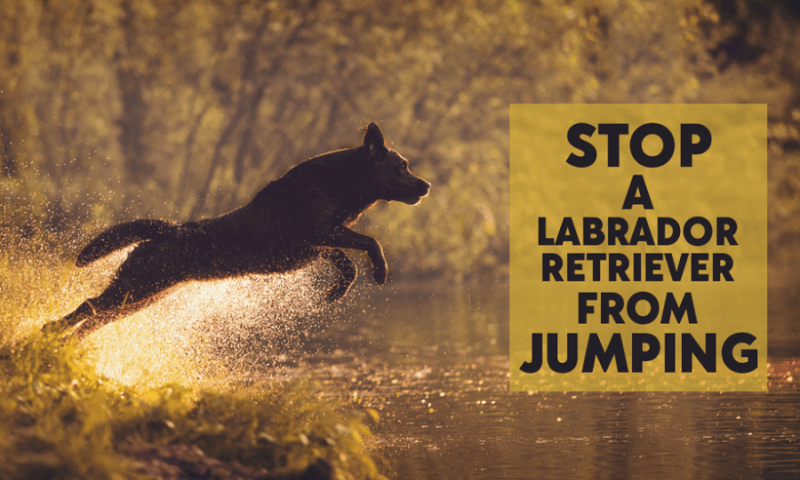 Young and healthy persons may handle a heavy muscled Labrador jump, but kids and elders cannot bear his jump and they may fall and injured. Labradors jump on strangers and when someone comes to meet you, you want to talk with him, but your dog keeps jumping and he needs to be stopped doing that. Is this Possible to Stop a Labrador’s jumping? Yes! 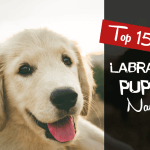 you can stop your Labrador from jumping by training. Most of Labradors have this bad habit. The ideal age for training is 8 weeks but it can be delayed to 6 months. Labradors are very intelligent dogs, you can train them to do all anything. 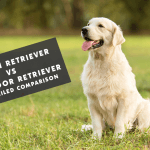 They can be trained to act on commands like sit, stay and down, to play games, not to bite and chew, to retriever objects and to walk without a leash. When the dog is young, we may like his jumping behavior, because then the dog is small and light and we mostly reward him for jumping. But slowly as the dog grows, this becomes his habit. Heavier dogs are hard to handle while jumping. But sometimes we love his jumping habit when we are relaxed and happy. Jumping is fun for a Labrador and some dogs don’t like to jump like a German Shepherd. They will never jump on a visitors, no matter how much they like them. 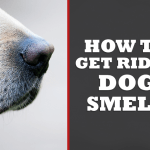 Here in this article, you will know all the tricks and methods to stop a Labrador from jumping on owner and visitor. 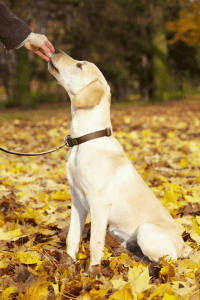 Train your dog to act on different commands like sit, stay and down. So, when he tries to jump on you or others, just use your words to control him. Sometimes, the dog is too excited that he may ignore the commands, then try to divert his attention by using toys or ball. The dog may be confused when you say “sit” because he can’t stop jumping and sit at the same time, in this case, give your dog time to act. If your dog jumps on strangers, then get some help from your friend. Ask the friend to come towards the dog and say to him “sit”, if he remains sitting, then tell your friend to award him a gift. If he jumps on your friends, then tell him to walk away. Repeat this method several times until the dog learns to keep calm and sit. Keep your dog confined, when he is under training. So, confinement is really helpful when someone visits your home. This may do not help to change your Labrador jumping habit but save the visitors. This method is most helpful. Put your dog on a leash, say “sit” and then take the reward from his nose position to downward. Until your dog successfully trained to “sit” command, repeat the same procedure daily, then slowly remove the reward and use empty hands. Gradually he will learn to “sit” without any reward. Take away the reward, he is seeking for, if he keeps jumping on strangers. In this way, your dog will be discouraged and stop jumping. That is the easiest way, turn aside when your dog jump, will help him to know that you are not interested in his jumping. When he stops jumping, and on his four paws, then give a gift and praise him. In this way, gradually, he learns to stop jumping, when he got no response. Never allow kids and elders near the dog because he can cause injury. Never beat your dog during training. Never speak loud while training. Warn visitors and friends about your dog jumping behavior. 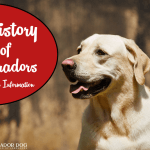 Labradors are easy to train and they have a good memory. 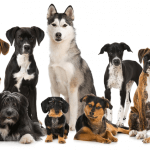 Teach your dog as early as possible after proper age limit. Everyone wants a dog with good behavior and habits. The only good owner can train a dog well. It will take time to change habits, keep patience and you will get your results one day. 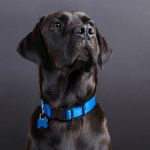 There are many methods to train a dog, you can choose any method according to your Labrador habits and nature. Select a method which suits your Labrador most.